Anheuser-Busch is running with a much more aggressive game plan for their Super Bowl ads this year. Their strategy includes three new TV commercials, with two using the usual plays on humor and emotion, and one with the more aggressive goal of boasting that the brand is the best in its field. Taking such a confident tone can be a risky play, but the brewer is proud of its quality and wants the world to know it. Adweek.com covered the highlights. An ad for Bud Light called “Coin” that shares the story of a light-beer drinker who goes for a night out with the ‘80s Pac-Man icon, yet steps into a real-life Pac-Man game. The ad is being promoted and supported by a special three-day event in the game’s host city of Phoenix, which Steve Aoki will DJ. 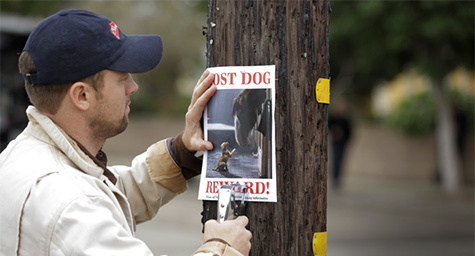 One of the two spots for Budweiser is titled “Lost Dog” and it will show how your canine companion is the only friend that’s always there for you. It it’s a sequel to last year’s popular “Puppy Love” commercial, which became the most shared ad of all time on Facebook. The ad will evoke that moving commercial by featuring a puppy and the iconic Clydesdales. The other spot for Budweiser features the more provocative approach by bragging that Anheuser-Busch makes the very best beer. Its bold tone conveys a confidence in quality and pride in the brand’s history. Tune into the Super Bowl to see if the brand’s ads score with viewers. MDG Advertising, a full-service advertising agency with offices in Boca Raton and New York, NY, is one of Florida’s top branding firms. MDG’s capabilities include print advertising, direct mail marketing, branding, logo design, creative, digital marketing, media buying and planning, radio and TV advertising, Web design and development, online video advertising, email marketing, content marketing, social media marketing, and SEO. To learn about the latest trends in advertising and branding, contact MDG Advertising.